When Mayor Michael Bloomberg presents the city's new budget this week, critics are so convinced that it will call for massive cuts in programs and in the city's workforce that they are already labeling it the St. Valentine's Day Massacre. Much of the reduction is a result of the recession and the aftermath of September 11th. But some of it can be blamed - as can so much of New York City's problems - on Albany. There is $360 million less in revenue, enough to pay for some 9,000 jobs, because New York City no longer has a commuter tax. For 30 years, the commuter tax was paid by people who work in the city and thus use city services, but live elsewhere. New York City lost its commuter tax after 30 years because the state legislators in Albany, including a number representing New York City, sacrificed it for the sake of some convoluted state politics. The hope was that eliminating it would win over the voters to a candidate for the State Senate running in Rockland and Orange counties in 1999. This week, voters will go to the polls for a special election for four city seats in the state legislature. As little noticed as the people who win may be, they and their colleagues in the Senate and Assembly will determine such essential issues to residents of New York City as whether the Board of Education lives or dies, how lower Manhattan will be rebuilt, and how the city fills its multibillion dollar budget gap. 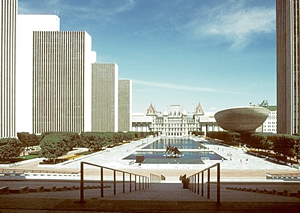 Legally, New York City exists as a creation of the state, whose capital is in Albany. Albany rules when it comes to school governance, taxes, rent regulation and dozens of other issues that directly affect residents of the Bronx or Brooklyn while having little impact on the average citizens of Skaneateles or Schenectady. The power that Albany holds over the city has rankled many New Yorkers for many years. It supplied Norman Mailer, who ran for mayor in 1969, with his platform: he urged the city to secede from the state. The differences go back a long way. As far back as the early 1700s, upstate farmers and New York City merchants clashed over taxes and trade regulations. In 1905, George Templeton Strong observed, "The feeling between this city and the hayseeds that make a livin' by plunderin' it is every bit as bitter as the feelin' between the North and South before the war." The state gained more control over the City, and earned more resentment, in the 1970s when it won financial oversight of the city as a result of the fiscal crisis. Albany remains the final arbiter in a wide array of issues facing the city. In his eight years as mayor, Rudolph Giuliani threw the squeegee men out of town, attacked crime, got rid of two school superintendents and slashed welfare roles. But he could not eliminate the New York City Board of Education, and this, he said, was the biggest regret of his eight years in office. Last month, a new mayor stood before the city, hoping to make good on the promise Giuliani could not keep. "The Board of Education does not work for teachers, parents, students or even for its members," Mayor Michael Bloomberg said in his State of the City address. "It does not work for anyone." The crowd responded with a standing ovation. But it will take more than applause to terminate the board and the 32 community school boards. Only the state government can make major changes in how education is governed in New York City. While the governor and the Republican-controlled Senate have been inclined to support removing the board, Assembly Speaker Silver has resisted. The day after the cheering, Steve Sanders of Manhattan, a Silver ally who chairs the Assembly education committee, said that some changes in school governance might be in the offing, but Bloomberg was unlikely to achieve the total control that would come with an end to the board of education. "It is safe to say there is going to be a consensus for reform," Sanders said, adding, "the mayor's incorrect if he believes that most people in the city want only City Hall to be involved in education policy making." If any issue in the city is hotter than education it's the rebuilding of lower Manhattan. And here the governor holds sway. He appointed the Lower Manhattan Redevelopment Corporation to oversee the reconstruction effort and named a majority of its 11 members (the rest were appointed by former Mayor Giuliani). Even though Mayor Bloomberg may be judged by what happens in lower Manhattan, the New York Times observed, "Mr. Bloomberg has more authority to suspend alternate side of the street parking regulations than in determining the course of what happens on the tract of land just south of City Hall." Some members of the City Council hope to get in on the action through the creation of an additional commission on improving lower Manhattan. But the council members may have a difficult path ahead, and they will have competition. State senators from Pataki's own Republican Party, similarly frustrated with being shut out of the rebuilding process, have also formed their own commission. Many of the city's complaints with Albany boil down to money. Urban politicians believe the state does not give the city enough, makes the city pay for things it should cover, keeps the city from raising needed funds, and enacts laws and sets other requirements that make it more expensive for the city to conduct business. Once again, education is a key dispute. New York State Supreme Court Judge Leland deGrasse ruled last year that the state shortchanges the city on school funding, depriving students in New York City and other urban areas of the education they are guaranteed under the state constitution. According to the Campaign for Fiscal Equity, the Manhattan-based coalition that brought the suit, the state's funding formula for education deprives New York City students of as much as $1.46 billion a year, or $1,114 per pupil. Governor Pataki has appealed the judge's decision. Given budget constraints, any measure to give urban areas more money could mean that some jurisdictions, probably in affluent suburbs, would get less. This year, some city politicians also feel deprived on funds for economic development. The governor's planned multibillion economic development initiative for upstate and the suburbs does not extend to the city. Pataki said he left the city out of this project because federal money will already be coming to the city. But his action prompted State Senator Eric Schneiderman of Manhattan to paraphrase a refrain from the fiscal crisis, "Pataki to New York City economy: Drop dead." Albany also controls the city's taxing authority. So, for example, the state must allow the city to set a tax of 30 cents on cell phones. Similarly, the commuter tax existed for years because the state government allowed it to. The state is also responsible for the general property tax system and for the withholding tables the city uses in figuring income tax. A number of critics have said one way Albany could help New York and other localities would be to leave them alone. In a 1999 study, the Business Council of New York State charged that local taxes could be trimmed by some $5 billion a year if the state reformed the requirements it puts on municipalities and school districts. Of course, many would argue that some of these requirements are desirable. For New York City, the Medicaid requirements are the most expensive. Most states in the nation pay all Medicaid costs. Not New York. If the state were to assume all the costs, it could save the city an estimated $1.3 billion a year. In his State of the City speech, Bloomberg stressed another area where state rules (or lack of rules) cost the city money: law suits. Citing "the urgent need for tort reform," Bloomberg said, "the city's tort layouts are larger than the budgets of most city agencies; indeed they are larger than the budgets of most municipalities in New York state." He noted the money used for settling damage suits could give all 80,000 public school teachers an extra $6,000 in pay. Although he did not spell out the precise reforms he would seek, Bloomberg said his staff would work to change the state laws on torts. A proposal for tort reform by former corporation counsel Paul Crotty that was first proposed several years ago charges that existing laws make the city "a sitting duck." Crotty's plan would set a cap on payments for pain and suffering, bar a plaintiff from recovering damages from the city in cases where the plaintiff is at least 50 percent at fault, and make property owners, rather than the government, liable for accidents on sidewalks. Former mayors Giuliani, Dinkins and Koch also went to Albany seeking tort relief. But according to the Manhattan Institute, the trial lawyers lobby has been able to block efforts at reform. In his budget, Mayor Bloomberg may also look to a juicy one shot: the sale of the city's Off Track Betting Corporation, which could bring in $250 million in a single fiscal year. But this is another area where Bloomberg's predecessor might advise him to keep his eyes upstate. Eight years ago, Giuliani came to office denouncing the city's Off Track Betting Corporation as "the only bookie in the world to lose money." He pledged to make the betting operation profitable, sell it and take the city out of the gambling business. By last year, OTB was logging its sixth straight year of profits, and a Canadian firm was eager to buy it. But the state legislature refused to approve the arrangement. Giuliani left office on New Year's Eve with the city still playing bookie, his promise unfulfilled. Taxes and government services aside, this spring's big battle of Albany will be about power pure and simple -- who will keep it and who will lose it. Both the state's congressional delegation and legislature will have to be redistricted to reflect the results of the 2000 census. City residents could well argue that all they want from Albany is what they deserve -- keeping their seats in Congress and gaining some in the legislature. In defense of that position, they will argue that New York City and its suburbs gained population during the 1990s while upstate lost it. Indeed, downstate areas are expected to gain one seat in the Senate and two to four in the Assembly at the expense of upstate. This could make it harder for Republicans to hold onto their 36-25 majority in the Senate. In the Assembly, Democrats already have a 99-51 edge, so little is likely to affect that. While New York grew, other states grew more, and so the state will lose two of its 31 congressional seats. With no representative volunteering to give up a seat, experts are casting bets on which Republican and which Democrat will be forced into early retirement. The thinking is that it will be one of each and that it will be a long bloody battle that could eventually involve the courts. In the end, some residents of New York City may find they have lost their member of Congress. And like the vanished $360 million in commuter taxes, he will have been taken away by some little-known politicians 150 miles up the river.